The Indian automotive industry has grown tremendously in the past decade. Our grandparents had an easy decision – it was either the Ambassador from Hindustan Motors or the Premier Padmini. The launch of the Maruti 800 in 1983 was a game changer for the industry. 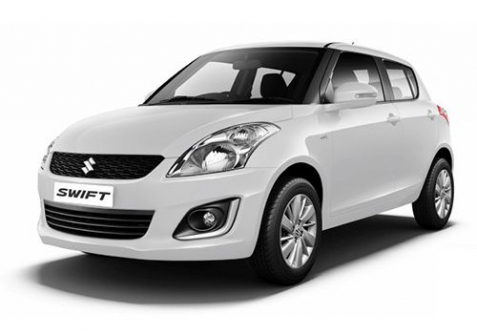 Maruti-Suzuki sold over 2.6 million units of that car and opened up the market to India’s middle class. Customers are spoilt for choice in 2016, with even more manufacturers and models on the horizon. Car companies in India have quickly followed suit, setting up manufacturing faculties and launching new models to tap the exploding Indian automotive market. This German manufacturer just edges past Chevrolet to make it into our Top 10 list for 2016. A large part of its success is driven by the Polo hatchback and Vento sedan models. As part of the Volkswagen AG group, brands like Audi and Skoda also contribute to the sales numbers. This brand, however, is still trying to find its footing in the Indian market. They, unfortunately, do not have a model at the entry level, where volumes (and profits) are higher. In comparison with the larger players, their service network needs to be stronger, and the most common complaint from their customers is the inconsistent supply of parts and occasional glitches in after-sales support. That being said, the Volkswagen brand has a model across most of the segments, with an entry-level hatchback planned shortly as well. The build quality lives up to the stereotype of German Engineering, from doors that shut with a satisfying thud down to the smallest detail of how the switches and levers move with tactile feedback. It’s obvious someone has spent some time and effort in the design and engineering of their cars. The external design language is classic and timeless, and most of their products age gracefully. They have also tried to cater to the customer’s obsession with fuel consumption, and most of their models return decent fuel economy figures. Volkswagen sold over 4000 units in June 2016, with their popular Polo contributing to the bulk of that number. Their latest entrant is a compact sedan called the Ameo. It’s a little early to predict how well it will do, but the initial response has been positive. This is a surprise entrant to our list. Their sales numbers are higher than Volkswagen last month, but that is predominantly due to the launch of their brand new RediGo, which seems to have met with huge success. Datsun as a brand is pretty old, going back to 1931 as part of the Dat Motorcar Co. A couple of years later, however, the ownership of the name passed to Nissan. From 1958 to 1986 vehicles exported by Nissan were called Datsuns. However, in 2013 Nissan revived the brand to launch low-cost models for emerging markets like India. The first two models they released here, the Go and Go+ met with limited success. However, with the new RediGo, they seem to have struck a chord with the Indian buyer. It’s based on the same CMF-A platform as it’s cousin, the Kwid from Renault, and is powered by the same 799cc engine. The large hexagonal grille, scuff plates, and unique headlamps definitely help it stand out from the crowd. The car is part of Nissan-Renault’s strategy of having a model in each segment of the Indian market. In the second month of its launch, the car has clocked sales of just under 3000 units, which is pretty respectable. We will have to wait and see if they can sustain these sales figures through the upcoming festive period as well. 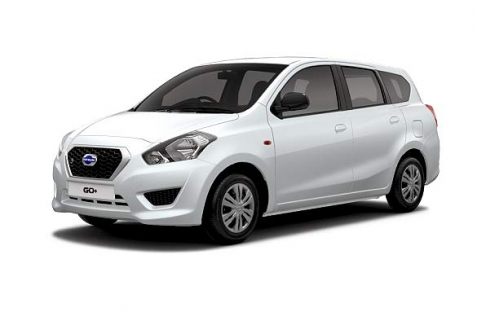 Overall, there is definitely a place for a dedicated low-cost manufacturer in the Indian market, but Datsun will have to manage its brand very carefully – the Indian Top Brand car buyer is very image-conscious, and it’s important not to cross the line that separates value-for-money and cheap. As a brand, Ford has its share of loyalists in India. Their Ikon 1.6 and subsequently Fiesta S have been driver-centric cars. At the other end of the market, they also have the Endeavour – one of India’s’ first true SUVs, with a ladder-on-frame construction, butch styling, and impressive road presence. The 2016 Endeavour is taking the fight to the Toyota Fortuner and looks like it’ll be another winner. Ford also launched their halo car, the Mustang last month, with its monster 5 litre V8 engine that pushes out close to 400bhp and over 500Nm of torque. Though the CBU pricing can only be described as stratospheric, it’s still only classic American muscle car you can buy in India. 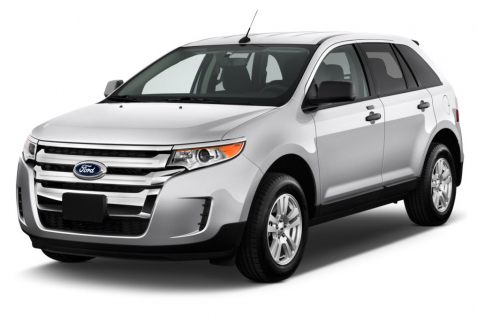 Ford has made some great strides in after sales service, an area it was traditionally seen as expensive. They have made a huge effort to reduce the cost of parts and labor, to the point where they are at par with the competition as far as the cost of ownership is concerned. Their Happy Pocket Service has been a huge hit with its customers. The fact that they are able to transparently display the cost of after-sales service for each of their models has done wonders for them in establishing and strengthening their brand in the Indian market. Their latest Best car models – Figo and its sedan version the Aspire are clocking decent numbers month on month, and customers attribute this success to the value for money approach that Ford has taken with these two models. As a brand name, Honda has always held a special place in the hearts of Indians. The interiors are of good quality, and the ride and handling are comfortable. 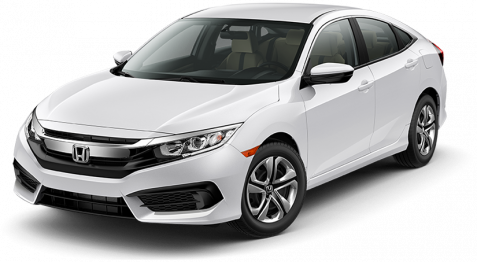 Honda’s after sales service is one of the best and is responsible for most of its repeat customers. From a driver’s perspective, the free-revving engines, slick transmission, and accurate ergonomics are the big reasons for its large fan base. The new Honda models – the City, Mobilio, Jazz, and BRV have been grabbing eyeballs with their sharp design elements and edgy styling. As always, the current line-up is fuel efficient and their pricing is usually competitive considering the equipment list they now offer. There is, however, a downside for the buyer when purchasing a popular premium brand – discounts are few and far between. Some spare parts can be expensive, though Honda has been working hard to bring the prices down. One of the biggest reasons for Honda’s resurgent success, however, is the availability of new diesel engines. In a market like India, where fuel economy is an important factor in the purchase decision, diesel engines have been very popular. Honda had stuck with a petrol-only line up until recently, and sales had seen a decline. With the inclusion of diesel variants of their popular models and the high likelihood of future launches with diesel options, it’s reasonable to assume that Honda will continue to be one of the Most Reliable car brands in India. This French manufacturer has a range that covers most segments in the Indian market. 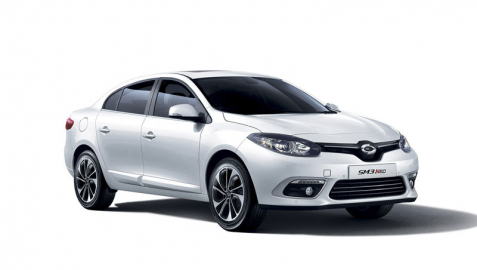 They have the entry-level Pulse hatchback, which is a rebadged Nissan Micra, as part of its alliance with Nissan Motors in India. The Scala sedan is a popular sedan and shares its market space with the Nissan Sunny. However, the premium sedan Fluence and the Koleos SUV are unique products that have their own character and stand out from the crowd. While they met with critical acclaim for their design and features, they have not been huge sellers for Renault. That crown sits firmly on the head of the Duster. This compact SUV has been responsible for single-handedly driving Renault’s success in the Indian market. They also have a presence in the MPV segment with the Lodgy, though there are rumors that the next edition of the Duster may offer another row of seats, thus making it the more obvious choice. The other car that has had a lot of success for Renault has been the entry-level sub-compact Kwid. With its aggressive styling and value for money proposition, it seems to have become very popular in the volume market, running up sales of almost 10000 units. However, this segment needs a lot of support from the after-sales service, and Renault has its work cut out for it. While they have increased the number of service centers from 12 to just under 200 in 4 years, it’s still a far cry from the service network of companies like Hyundai and Maruti. A massive automotive company with an incredible range of vehicles, Tata nevertheless has struggled sometimes when it comes to passenger cars. They had a very successful run with the Indica and Indigo series of hatchbacks and sedans, but that was driven primarily by the taxi market. Private car buyers seem to gravitate toward Maruti and Hyundai, rather than invest their car money with their homegrown favorite. In recent years, however, Tata has made an effort to focus on new launches in the Indian market. It’s famous ‘small car’ the Nano has met with some success, though there have been constant upgrades and additions – and it looks like Indian buyers are finally warming up to this car. Tata is also responsible for India’s first indigenous SUV, the Tata Sierra, followed by the popular Safari, which has been through a number of iterations to keep it relevant. 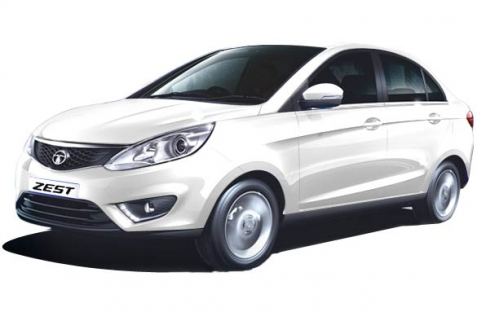 The latest from Tata’s stable is the Zest sedan and Bolt hatchback. The response has been mixed, but it looks like the Zest may continue on to become a market favorite. The surprise, however, has been its entry-level hatch, the Tiago – after a lukewarm start, it has jumped in sales, hitting the 4000 mark in its fifth month. While Tata continues to work hard on improving its quality control and after-sales services, it still continues to be plagued with reliability issues. The new generation of vehicles will have to try hard escape this legacy, but the initial feedback from current owners seems to be positive overall. The name has become synonymous with quality. This has been a constant refrain with the owners and drivers of its most popular product in India, the Innova. Despite the premium pricing and long waiting periods, the Innova continues to be the market leader in its segment every month, sometimes selling more than all its competitors combined! Perhaps this success has governed the Japanese automakers’ approach to the Indian market. They have stayed away from the small car segment so far, focusing on the MPV and SUV products. The Fortuner is a runaway success in the segment and commands a significant premium in the used car market – a testament to the brand equity that Toyota enjoys. Toyota did try their luck with the Etios sedan and Liva hatchback, but even with their market, they couldn’t come close to the sales figures of their bigger stablemates. There are rumors of the Vios mid-size sedan, and Toyota may take a crack at a different segment soon. 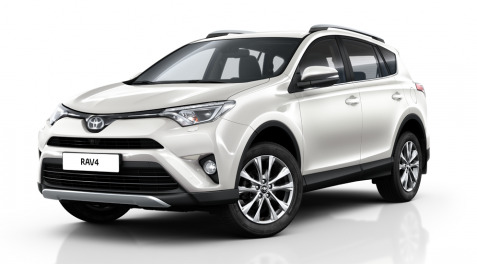 Like many manufacturers, Toyota also provides financial services, so buyers have the convenience of completing the loan and purchase experience in-house. With the new Innova Crysta just launched, and the 2016 Fortuner around the corner, it’s no surprise that Toyota makes this list of car manufacturers in India to watch in 2016. India popular home-grown automaker, Mahindra has been a leader in transportation in rural areas. They have focused on a strong, rugged image and built a reputation for reliability. Coupled with value for money features, Mahindra vehicles have become known for being easy to own and cheap to maintain. Mahindra also makes the Scorpio, the first traditional SUV aimed at an urban population. While it’s been around for a while, Mahindra has made enough upgrades and facelifts to the Scorpio to still keep it popular. Most owners love the fact that their Scorpios are reliable and take an incredible amount of abuse, but keep running. It’s bigger brother the XUV5OO was a runaway success. The funky styling, aggressive street presence, and reasonable pricing make it a favorite in this segment. Add a long list of features to the mix, and you have the recipe for success. Mahindra is not resting on its laurels though. It has been sending out constant upgrades for it vehicles, offering variants with automatic transmission, sunroof, 4WD and a host of intelligent innovations to keep its customers happy. They’ve also launched a number of vehicles in different segments, from the KUV100 and TUV3OO to the Xylo and Thar. They even have an electric offering in the e2O. 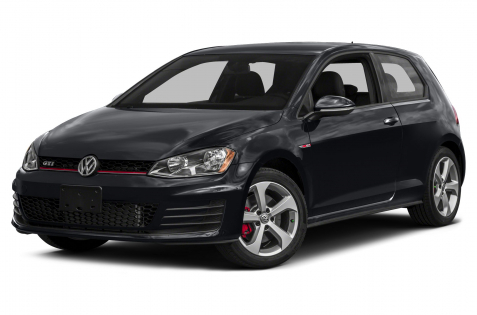 With over 20 models in the passenger segment, they have something for everyone. It’s no wonder they are number three on this list. As a brand, Hyundai was unknown when it launched in India. From there to becoming India’s second Best build car brand is a success story that needs to be told. The very first model they launched, the Santro was an unmitigated success. It took on cars from different segments in the Maruti Suzuki stable and made a significant dent in sales figures. While Hyundai may have gotten lucky with the Santro since there were not too many options for consumers then, there is no doubt that they have worked hard to build momentum, constantly innovating and improving their products, processes and after-sales service. Hyundai can now boast of a service network with 1000 facilities, and a very large, loyal fan base. Instead of sticking to the segment that brought it so much success, Hyundai was not afraid to launch models at different price points. They had big successes with some models, others slipped into single-digit sales within months. 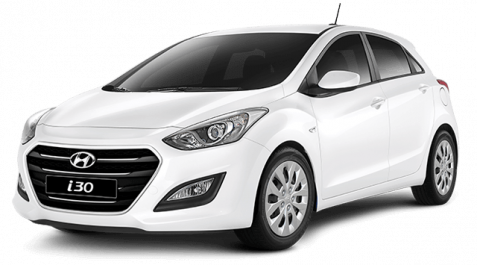 However, Hyundai has consistently improved on the design, quality, and efficiency, and it currently has an enviable model lineup, from entry-level hatchback to luxury SUV, and almost every segment in between. While they are nowhere near Maruti Suzuki in terms of sales, Hyundai is definitely responsible for keeping the market leader on its toes. Our very own Maruti Suzuki holds an impressive 42% of the market at the end of last month. They sold over 92000 vehicles in thirty days. And this was not a great month – in fact, it was the lowest in over a year. The average monthly sales are actually over 110000. What brings an automotive company to the level of those kinds of sales figures? The one-word answer is “Trust.” The Maruti Suzuki brand has enjoyed a high level of trust from the Indian consumer since the days of the venerable Maruti 800. Maruti has taken a lot of its profits and put them into developing a robust dealership network, supported by the biggest service system in the country, with over 1500 facilities and counting. They have also made significant investments in research and development of new cars and technology, personnel training and marketing activities. All this has resulted in an enviable 1.5 million cars produced every year. They have 14 models (available in almost 145 variants), supported by an in-house financing team. Without a doubt, Maruti Suzuki is one of the best car brands in India. With new models waiting in the wings, and customer satisfaction at an all-time high, Maruti as always, is still number one on our list. A car brand is unique in the sense that most people become personally attached to them in deeper ways than other products. Maybe it’s because of the growth in urban areas has resulted in longer commute times, and we spend more and more time in our cars. As a personal space, they become an extension of our homes. We talk to our family, listen to music, eat and drink and even watch TV (except the driver of the vehicle). There is a natural attachment to this environment, and that coupled with the fact that most people either save up or take a loan to purchase a car, make it an important possession. This results in tremendous brand loyalty and is often one of the major factors in the purchase decision. People often think of car brands in terms of who they are, and how they want to project themselves to their friends and family. Maruti is known as a value-for-money brand, and Toyota has a strong brand equity when it comes to quality. Some car brands like to project an up-market image, some want to appeal to younger buyers. Sales, marketing, operations and ultimately profit – everything is built around the brand. What do you think of this list? Do you feel we could have included other brands? Maybe we could have used another parameter in compiling the list, or choose a larger number like the Top 25? 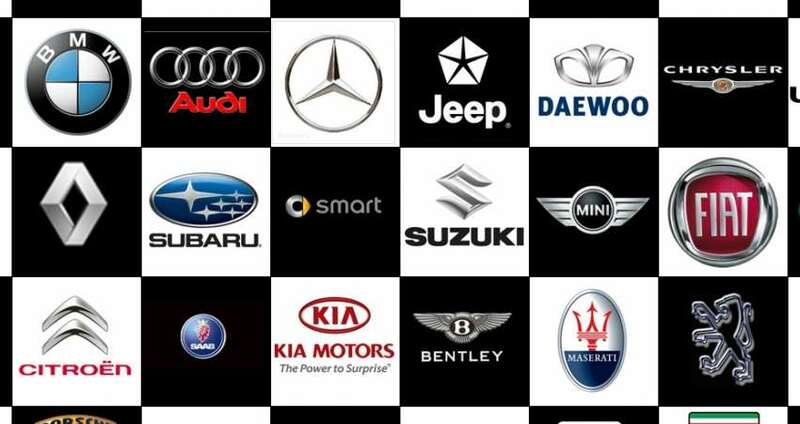 What is it about a car brand that is important to you? Either way, leave a comment and tell us what you think!